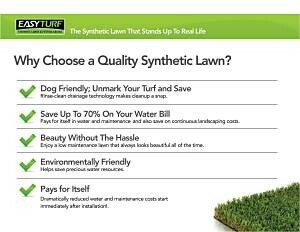 WHY CHOOSE SYNTHETIC TURF FOR YOUR PROJECT? Synthetic grass, done correctly, can provide your client with a beautiful lawn without the hassle and expense of trying to maintain a problem-plagued natural lawn. Quality synthetic landscaping has become a proven alternative to traditional lawns. Eliminate watering, mowing, fertilizing and chemicals. There is no more foot traffic or pet damage, re-seeding, pests, allergies and muddy paw prints…all for a lower overall cost! Our grass is ideal for green roofs since drainage is terrific, and there is minimal weight. 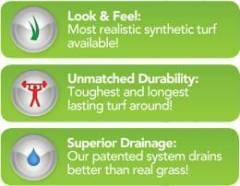 WHAT MAKES FIELDTURF DIFFERENT THAN OTHER SYNTHETIC GRASS? FieldTurf is the professional grade synthetic turf used by the National Football League, Major League Baseball, NCAA colleges and high school sports teams across the country. These organizations have done the research and chose FieldTurf for their stringent requirements. The same reasons that make FieldTurf a great product for sports fields make it a tremendous solution for landscaping needs! 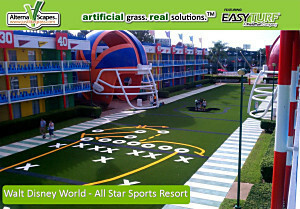 FieldTurf invented and manufactures the finest synthetic turf available anywhere at any price. It consists of polyethylene blades and a patented infill system. The drainage system is also patented and has been proven to drain better than real grass. The durability of FieldTurf far surpasses that of any other synthetic grass product. These advantages make FieldTurf the best known and best selling synthetic turf on the planet. THERE ARE A FEW OTHER COMPANIES SELLING SYNTHETIC TURF. WHY SHOULD I CHOOSE ALTERNASCAPES? This is our favorite question! Simply put, FieldTurf is the finest product on the market and is the closest alternative to natural grass. A superior product, coupled with professional service, makes EasyTurf the ONLY synthetic turf choice for those seeking a long-term solution, and Alternascapes the only company that can provide and install this superior solution. 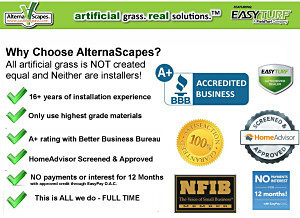 There are various newcomers in the synthetic lawn market, and some inferior imports from Asia, but not one offers the level of quality and service that Alternsacapes provides. If you are considering another product, be certain that you are dealing with a reputable company that has trained, experienced installers, has been in business for more than our 16 years, with a solid warranty, and is insured. Avoid the pain of hearing back from a dissatisfied customer with a lawn that did not last, requires constant maintenance and does not live up to another company’s claims. As with everything else in life, customers do get what you pay for. 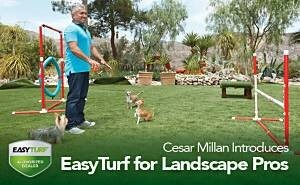 Put it this way…your clients can enjoy their dog AND a beautiful lawn! 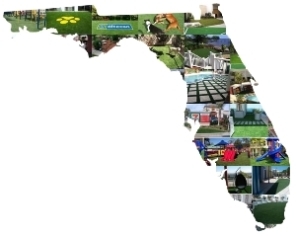 With over 80% of our customers being dog owners and installations in locations like the Orange County Animal Services and animal care facilities across Florida, FieldTurf is the proven solution for a pet problem lawn. Liquids drain right through and droppings can be picked up as they would with regular grass and washed off with a hose. Even after a rain, dogs go out clean and come back in clean. WHAT ABOUT KIDS PLAYING ON FIELDTURF? Kids love it! FieldTurf is softer and safer than real grass and they have loads of fun playing on it. Our infill is non-toxic and will in no way harm either children or pets. Some consider it their own personal sports field! Parents love the fact that there are no more stained pants and scraped knees! In fact, FieldTurf is installed in hundreds of day care centers and playgrounds across the nation…many of them right here in Florida. HOW TOUGH IS IT REALLY? Simple answer…consider the fact that FieldTurf is being used by thousands of sports teams for their playing surfaces. It is also used by many child care and pet facilities. If it is durable enough for them, imagine how long it will last in your customer’s yard! Quite frankly…we don’t know. It is designed to last 8-10 years in a sports field application with constant and intense use. Realistically, you should expect FieldTurf to last a period of 15-20 years in a client’s yard. FieldTurf has built-in UV protection that allows it to hold its color even under the most brutal conditions. Independent studies show that FieldTurf will fade at a rate of much less than 1% per year. This means that after ten years in direct sunlight, any color change will be imperceptible to the human eye. Four words…better than real grass! FieldTurf has a patented porous backing that drains water at a rapid rate. Coupled with the crushed stone base, it is a superior drainage system for lawns. Unlike most other companies, FieldTurf does not drill holes in its backing to allow for drainage. We haven’t come across anything that can stain it yet. Even paint can be softened with paint remover and rinsed off. Sticky spills should be hosed off to prevent attracting dirt and bugs. The grass does not stay as cool as natural grass which has water running through it, but it will not absorb or radiate heat like pavement, rock or brick. Even through summer heat, your synthetic lawn will remain pleasant. WILL THE INFILL HARM CHILDREN OR PETS? Our infill is non-toxic and will in no way harm either children or pets. We could not have installed EasyTurf in the many day care centers and pet facilities, including Sea World and Disney World Hotels, if there was any concern about toxicity. WHAT ABOUT GOPHERS? MOLES? RABBITS? BUGS? 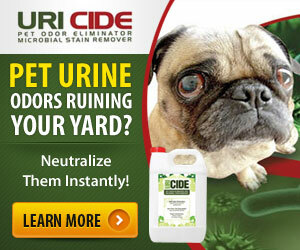 Say goodbye to pesky critters! EasyTurf will eliminate troubles one may have with rabbits, moles and gophers. Rabbits will no longer ruin your lawn by eating your grass and gophers cannot come up through the turf! Your new lawn will be safer because you will no longer need pesticides. Bugs and rodents are history! It is more of a matter of keeping it clean than actual maintenance. Easily remove organic materials from the surface by using a leaf blower. Rakes may be required for moving heavier objects; however, a leaf blower is an ideal tool for general upkeep. A stiff bristle broom can be used to “fluff” the high traffic areas. HOW DOES IT AFFECT PROPERTY VALUE? 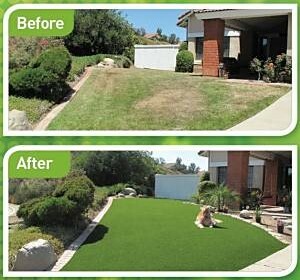 EasyTurf has proven to increase property value as well as curb appeal! 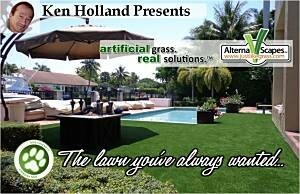 It is the most aesthetically pleasing and realistic looking synthetic grass on the market. 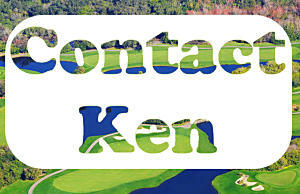 It reduces water and maintenance costs and eliminates fertilizers, herbicides and mowers. Several of our customers have sold their homes and reported that their EasyTurf lawns added tremendously to the saleability of their home. Potential buyers were very excited about the prospect of purchasing a home with a beautiful lawn that required no maintenance. Our commitment to customer satisfaction is second to none and we have thousands of happy customers! All of our installations are completed by our own supervised and trained installers, not subcontractors, which allows us to maintain a consistently high-level of quality. All of our projects are supervised and we only use the best equipment available. Our commitment to excellence is demonstrated on every installation…no matter how large or small! An average landscaping area might take one to three days depending on the size. We can provide details once we’ve performed a site survey or reviewed your plans. EasyTurf is not cheap…the best never is! Think of it as an asset and investment that will increase the value of your property. Best of all, unlike most home improvement projects, EasyTurf will pay for itself in a few years! For instance, say one spends $200 per month on landscaping and watering costs, that equates to $2,400 a year. Over five years, your cost is $12,000. The average EasyTurf residential lawn can be installed for much less than this! Monthly payment programs are available that can fit virtually any budget. 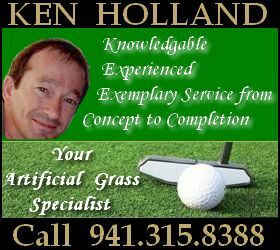 Often, it is less than what one is currently paying for water and maintenance on an existing problem lawn! 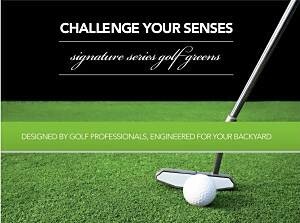 EasyTurf synthetic grass lawns are backed by a 15 year warranty…the best and longest in the business! It covers fading, discoloration, and problems with materials and workmanship. The warranty is also transferable if your customer sells their home within 15 years.